Does the Vernon Police Department offer fingerprinting services? Yes! Fingerprinting services are available for Vernon residents and non-residents who are employed in the Town of Vernon. There is a $15 cash fee for residents and a $25 cash fee for non-residents. Fees are payable by bank check, money order, or cash. Personal checks are not accepted. Fingerprinting hours are Tuesday from 11am to 12pm and again on Wednesdays from 4:30pm to 6:30pm. No appointment is necessary. What is the process to obtain a pistol permit? Applications for a Temporary State Pistol Permit are available at the police department. The application packet contains detailed instructions as well as a description of associated fees. Applicants who obtain the State application form (DPS-799-C) on-line should obtain our instruction sheet which provides the most current information on the process and costs. Police reports and records which are available to the public pursuant to the Freedom of Information Act may be obtained at the records Division during normal business hours. These reports may be inspected at no cost; copies may be purchased at a cost of fifty-cents per page. Other fees apply to copies of audio/visual recordings depending on the format. Payment may be made in cash, bank check or money order; we do not accept personal checks, credit, or debit cards. Written requests made by mail will be accepted if a stamped, self-adressed envelope and bank check or money order is included. Requests can also be made via email to policerecords@vernon-ct.gov. Inquiries concerning the availablity and cost of reports can be made by calling 860-872-9126 and following the menu prompts. 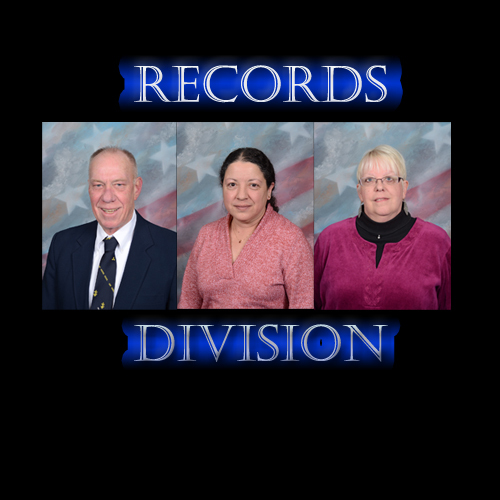 The records division is open from 8am to 4pm Monday through Friday and until 6:30pm on Wednesdays except for legal holidays. Do I have to register my alarm with the police department? Yes, Section 8-53 of the Town of Vernon ordinances requires each alarm user in the town to register their system with the police department. The registration form may be obtained at the police department. Are there fines for false alarms? Yes, but there is no charge for the first 6 alarm activations from a location in town. The seventh and eighth alarms receive a fifteen ($15) dollar fine and any subsequent alarms receive a twenty five ($25) dollar fine. The monitoring period is renewed each January 1.